On December 13, 2015, I was asked to be the representative of Edmonton’s Muslim community at the Phoenix Society’s Interfaith Celebration. The event took place in Edmonton’s City Hall and featured representatives of Judaism, Christianity and Islam, as well as musical performances related to each faith. It was an honour to be asked to give my thoughts on the theme of “Hope” in Islam, particularly as the last speaker of the day and the first woman to represent Islam in the event’s history. What follows below is the text of my speech. I want to begin – In the name of Allah, the Most Gracious, the Most Merciful – with a translation of the meaning of the 35th verse of the 24th chapter of the Holy Qur’an, entitled An Nur, the Light. Allah is the Light of the heavens and the earth. The parable of His light is like a niche within which is a lamp, the lamp is within glass, the glass as if it were a brilliant star lit from [the oil of] a blessed olive tree, neither of the east nor of the west, whose oil would almost glow forth though no fire touched it. Light upon Light! Allah guides to His light whom He wills. And Allah presents examples for the people, and Allah is All-Knower of everything. I stand before you today as a woman, a mother, an academic, an activist, and, above all, a Muslim. I stand before you today as a Muslim woman and some might note the cruel irony in that, at this particular moment in history, I am supposed to talk to you about hope. I stand before you today as someone who has every reason not to hope. As someone who has every reason to grieve. Even, to fall into despair. I look around at what is happening in this world, in places like Yemen and Syria and Iraq, Afghanistan, Libya, in Mali and Tunisia, in Palestine and Israel, in Lebanon and France, in America, in our own backyard in Canada, in my own family. I look around at what is happening in this world and I have seen it all before. As a historian, I have seen all of this before: all the violence, the hate, the divisive rhetoric, the othering, the anger, the retaliation, the death of so many of our children. And the more I study, it seems the less I can make sense of any of it. I started my journey in academics as a historian of the Shoah – the Holocaust perpetuated by Nazi Germany and its collaborators. And in this example, we find some of the darkest depths of human depravity. The absolute worst of humankind. We find this darkness emulated every day around the world, individually and collectively: in war, in genocide, in terrorism, in racism, in abuse. We find darkness everywhere. We carry it with us like a shroud. I stand before you today as someone who has every reason not to hope. As someone who has every reason to grieve. And I do grieve. In language, grief almost always involves water, with people drowning in it or passing through life in a fog due to it. In grief, we find the nomads, the memorialists, the normalizers, the activists and the seekers: those who are unresolved, those who seek to preserve memory, those who recreate family and community, and others who turn to prayer for meaning. Grief occupies a physical space in the phenomenal realm. An immoveable mass. It cannot be perceived by the senses but it’s there, an invisible tunnel entered through the gates of trauma, sometimes narrowing to the point of suffocation, other times widening so that its grasp is forgotten. Studies of bereaved individuals reveal that grief is not linear – it does not plot itself neatly on a road map from denial to recovery with despair and depression as pit-stops in between. How can grief be linear when there is continuously so much to mourn? I grieve because grief is part of my hope. In grieving, I mourn the loss of life, the loss of love and the death of morality that has become normalized. In grieving, I know we can be better. Psychologists suggest that bereavement carries with it one of the greatest qualities of humanity: resilience. From disaster and tragedy, people almost always reflect and rise up stronger than before and the process is so individual that it resembles a fingerprint. It cannot be shaped by others. Our resilience is at once our own and communally, universally shared. Resilience carries with it the connotations of brilliance, an illumination that, even if small, forbids darkness from taking over completely. There cannot exist total darkness as long as there is a single light and it is this light, this noor, that we must choose. Choosing hope, being resilient does not mean you will never grieve or that you will never fall into despair. In fact, it means that those things will be a necessary part of your hope. I want to share an important interpretation of a Qur’anic passage with you about the nature of humanity as carriers of both shrouds of darkness and resilient light. This comes to me from a fellow Muslim, brother Aaron, writing in response to the recent terrorist attacks across the globe and the violent backlash felt in Muslim communities everywhere. The creation of Adam (a.s) is mentioned many times in the Qur’an, but the first time it is mentioned, the angels asked Allah of the earth: “Will You place in it someone who will spread corruption there and shed blood while we praise You and glorify Your Name?” (2:30). Their question was well-founded. Prior to the creation of humans, jinn were constantly fighting and killing and spreading corruption. It got so bad that the angels intervened to stop their constant wars. So when they learned that God was making another creation, they probably had reason to fear that this creation would behave much like the jinn did. What does Allah know? Does God know some true potential of humankind? In this, I stand before you today as someone who has every reason not to hope. But, I do hope. I have seen people change before my very eyes. With consistent patience and compassion, I have seen their hatred give way to understanding and acceptance, seen their fears turn to knowledge and kind action. The world continues through the walls of grief. People will fall in love and be married; children will be born; poetry, art and beauty will forever echo our dreams. History marches on into the future. 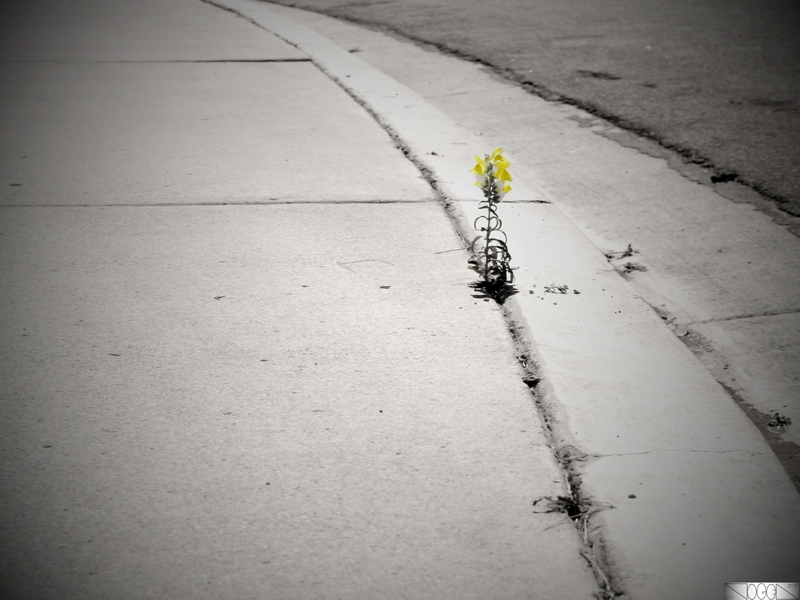 A collective loss is a mark in our continuous time – a crack in the sidewalk that some people step over, others stumble past, and still more individuals stop and marvel when tiny, yellow flowers push up through the fracture. These are the ones, the ever-bereaved, the ever-hopeful, the resilient ones who I emulate and in whose tireless efforts I place my trust to carry the Light into an uncertain future. Nakita Valerio is currently pursuing graduate studies in History and Islamic-Jewish Studies at the University of Alberta. Nakita was named one of the Alberta Council for Global Cooperation’s Top 30 Under 30 for 2015, and is the recipient of the State of Kuwait, the Queen Elizabeth II and the Frank W Peers Awards for Graduate Studies. Most recently, she has been named one of Edmonton’s “Difference Makers” for 2015 by the Edmonton Journal. Nakita is the co-founder of Bassma Primary School in El Attaouia, Morocco and a Director with the Alberta Muslim Public Affairs Council.